Really happy to tell you that most of this product are drugstore. Since I travel with them regulary, I choose drugstore product instead of high end product, since I was worry that I might broke it. But still.. .This all products are good quality of drugstore product. 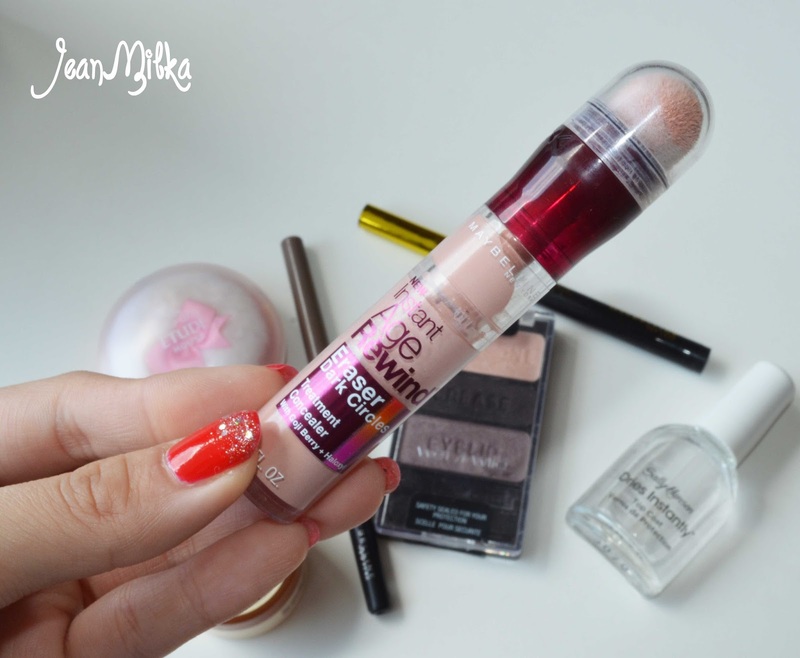 First product is Maybelline Instant Age Rewind in shade brightening. I rarely using an under eye concealer until I tried this one. I don't have bad dark circle around my eye so usually I am not using under eye concealer, but world just change after I tried this product. I apply a little bit of this and it's makes my eyes looks so good and pop out. It's not cakey at all and loved it for the cheap price. 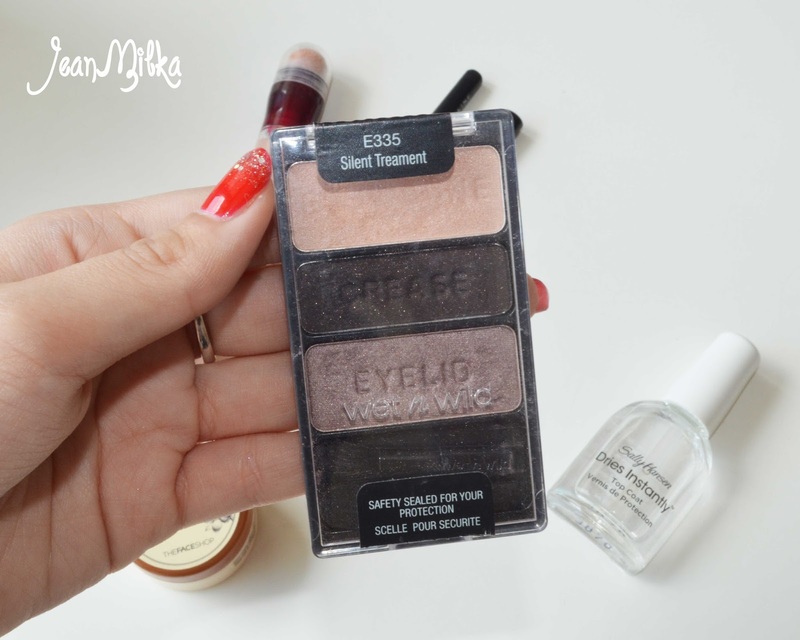 If you are new in make up world and want to learn more about make up, Wet n Wild eyeshadow palette will be my first recommendation for your eyeshadow. It's really cheap and have great color pay off. It's also mention which color should use on which part (brow bone, crease, lid, etc). This Wet n Wild eyeshadow trio in shade silent treatment is the only eyeshadow I use at weekdays. The only down site about this trio is I can't use the highlighter color on my brow bone since it's too shimmery. This next two product is just my best drugstore product. Best drugstore eyeliner for me right now is Maybelline Hyper Sharp Liner in black. I have Stila Stay all Day Waterproof liquid Eyeliner, but it's really pricy. 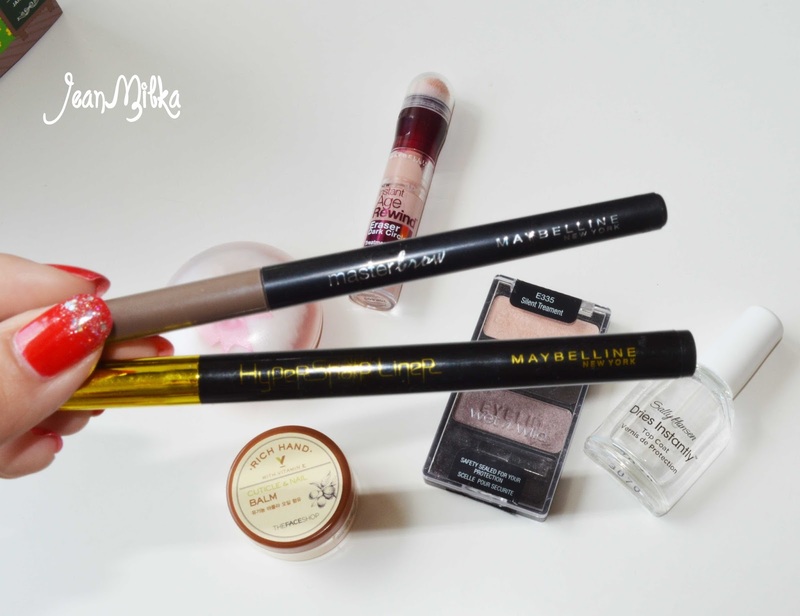 This Maybelline Hyper Sharp Liner just result almost the same with Stila but so much cheaper. Best eyebrow pencil is Maybeline Master Brow, mine is in brown. It's really easy to use and stay all day long. When it comes to brow product, I don't have any high end brow product. I still need to improve my skill in dress up my brow. 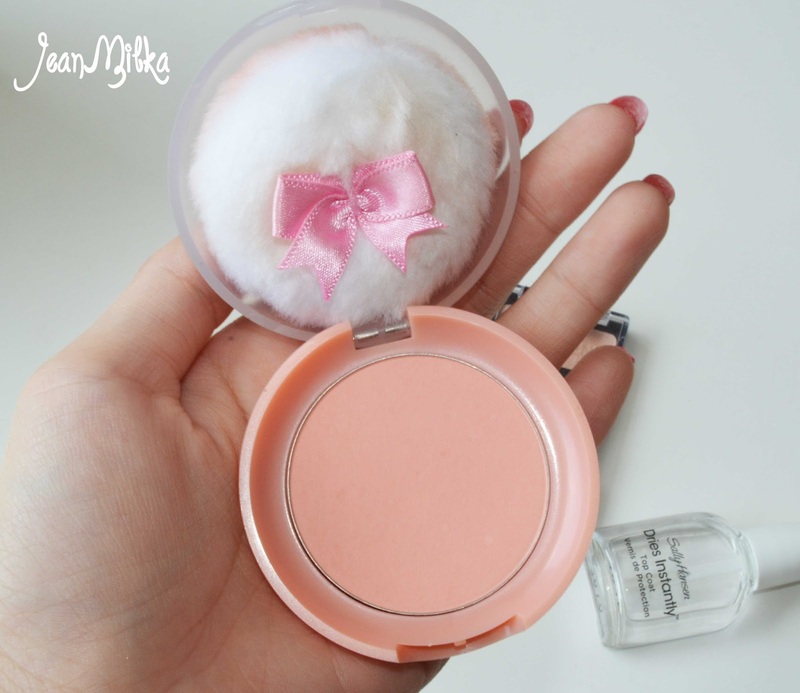 What do you think about Etude House Lovely Cookie blusher? For me it have cute packaging and really easy to use. It's comes with puff that make it really easy to use since we don't need extra blush brush. Mine is in shade Peach Parfait which is more like coral blush. The down side is the color is stay only for about 3-4 hours. But for daily use or for someone who is new in make up, it's a good product. I just use it to bring a little bit of life to my face. And also, the puff is really hard to clean, do you know the best way to clean the puff? please let me know on the comment down bellow. 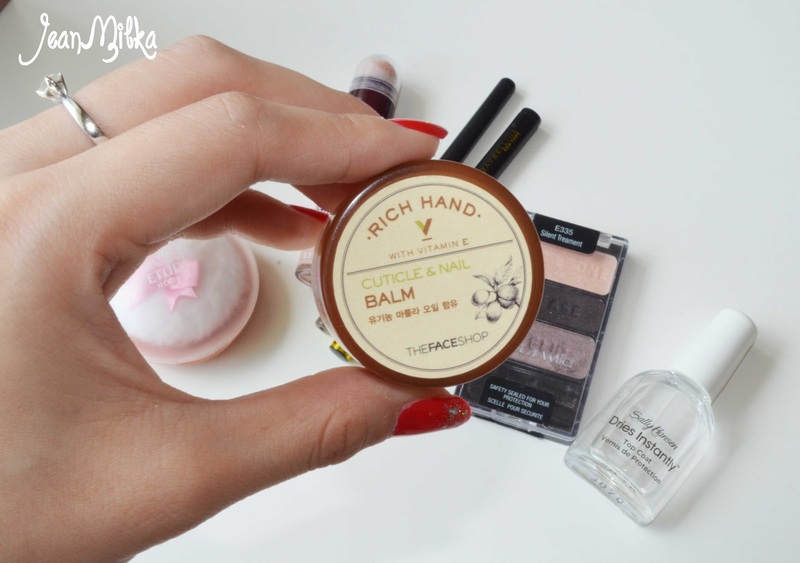 I always have dry cuticle, and The Face Shop Rich Hand Cuticle & Nail Balm have been my best friends. I usually used it before I go to sleep, and when I woke up my cuticle will looks better. You can check my full review about this product here. I have told you on my last Pink Manicure post that I don't have time for nail art lately. 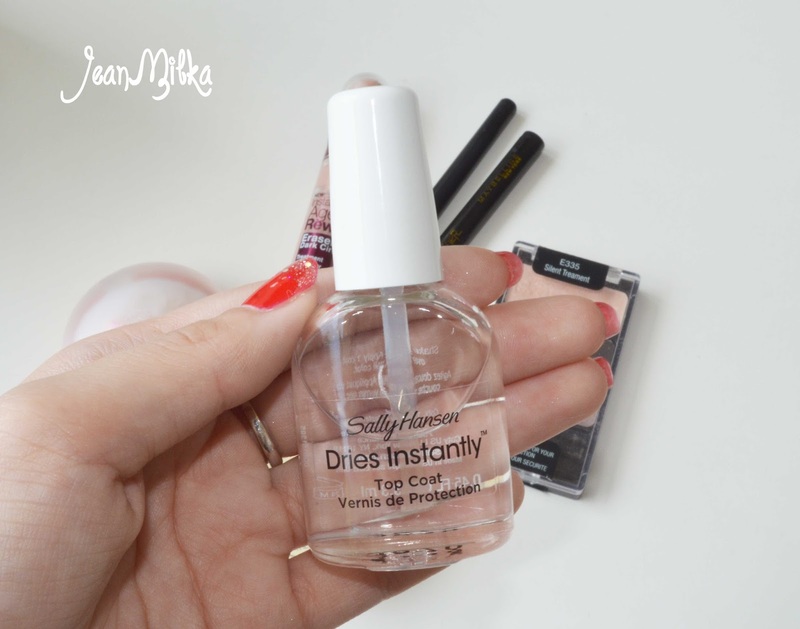 And Sally Hansen Dries Instantly top coat is my favorite product to help me save time for my nail routine. But this top coat didn't help my nail polish to last long, it's only last for 3-4 days at most. do you have any better recommendation for fast drier top coat that also help your polish last long? That is all for this post... please let me know if you want me to do a full review about any product or any thing. 6 komentar on "March Beauty Favorite Mostly Drugstore : Maybelline, Etude House, Wet n Wild, The Face Shop "
dari Online shop Instagram. Kamu boleh cek instagram aku di @jeanmilka. Nah biasanya aku order dari ol shop yang aku follow.